The best way to start a day of sightseeing around London is to grab breakfast and a freshly brewed coffee at Hej Café. A café tucked away between the streets of Bermondsey, Hej offers the best breakfast options, from apple, brie and rocket Panini to a sweet pastry. It’s the perfect café to spend all day in working on your computer or studying. We didn’t have much time to stay because our first stop of the day was Buckingham palace to watch the changing of the guards and we were already running a little late. The three of us grabbed our breakfast and coffee, and headed to the tube. Every day at 11:30am the guards change posts in front of Buckingham palace, a ceremony dating back to the early 17th century. During the changing of the guards, also known as the guard mounting, one regiment takes over from another. The guards march down the Mall, the long road from Wellington Barracks to Buckingham palace, around the Queen Victoria Memorial and through the gates of the palace. Once in the courtyard, the guards perform a series of marches and relieve the old guards of their duty. We were lucky to get up to the front row and watch the guards march past. I recommend getting there early, especially on the weekend because it is quiet the tourist attraction filled with a lot of people and selfie sticks. After the guards took their new posts and the old guards marched back, we walked towards St. James’s Park where we stopped at the picturesque bridge to view the London eye and Wellington Barracks. The beautiful park feels like an escape from the busy streets of London and ideal for a Sunday morning stroll. Leaving the park we made our way towards Piccadilly Square but were stopped by over a hundred luxury cars driving through London to promote the beginning of Modball Rally. The Modball rally is an international road rally with a different route each year taking place on public roads. The drivers show off their cars and the many personalized modifications they have made. This year’s race started in London and made its way to Paris, Lyon, Monaco, Barcelona and ending the 2000 miles in Valencia, Spain. Food is always on the itinerary when I travel so E took us to Kingly court for a delicious pizza at Pizza Pilgrims. Kingly court is a great spot to have lunch while sitting in the courtyard surrounded by shops, cafes and restaurants. Each of us devoured our pizza because they looked unbelievably good. Along with my pizza I enjoyed a refreshing can of Coca-Cola. Hands down the soda tastes better in Europe than in the states, mainly due to the fact that there is real sugar used and not high fructose corn syrup. For dessert I stopped at the Moosh café across from Pizza Pilgrims to order a caramel iced coffee with almond milk, the perfect energy boost! Our amazing tour guide, E, took us through Leicester Square where we watched some impressive street dancers and to Trafalgar Square where we got to see a man breath fire. From Trafalgar Square we followed Whitehall road past 10 Downing Street and towards the Parliament building, Big Ben and Westminster Abbey. Because it was Sunday we weren’t able to go inside the abbey but we did get to take in the large gothic structure built in the middle of the 13th century from outside. You can see beautiful views of London Eye, the Parliament building and Big Ben from the Westminster Bridge that crosses the river Thames. Although we wanted to go up the London Eye, it was quite expensive and we had seen stunning views of London from the Shard the night before (read post here). Instead we enjoyed the view from the ground, taking a break in the grassy area just below the London Eye. Our tour of London was coming to an end. We finished the walk back to E’s apartment by passing through South Bank, past a used book market to a skate park and ending back at Tower Bridge. There we were greeted by a large cruise ship passing under Tower Bridge, a remarkable achievement by the ship’s captain because the two towers of the bridge are not far apart and to maneuver a ship that large took skill. yes, i remember the saying 'is not where you go, is about who you with'. Your london trip look amazing with those food and activity outside. So nice to see all these familiar places! I was in London two weeks ago and already miss it so much. 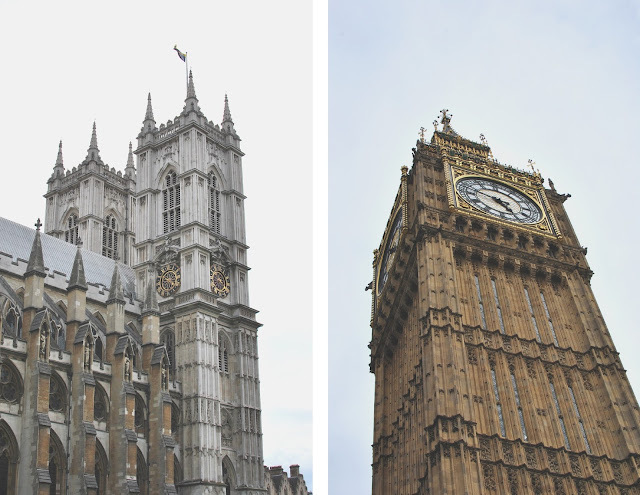 I love all of these photos, even though they really make me miss London. Food is always on the agenda when I travel as well, I always like to kick off a day of exploring with brunch and London has so many good food places! It has been so long ago that I have been in London, it was in 1997 :) Thanks for sharing the beautiful pictures! What a fabulous day! The highlights to me were... the food, of course. That pizza, oh my! And the used books martket looked pretty awesome too. Of course the food =o) most important part of any trip! What lovely photos! These pictures really make me want to go back to London right away, and I have never heard of Hej Cafe, but next time I am in London, I will be sure to visit it! Thanks so much for the tip! Amazing photos, i miss london! Beautiful pictures. London is such an amazing city. Such a cool trip! I'm jealous!!! Loving all of your photos sharing the touristy moments! Lovely post, I will have to come back here before my next London trip! Beautiful pictures and tour. I'm taking notes on what I should visit when I travel there. I'm so happy you found my post helpful =o) London is such a great city with so much to see! I've never been but dying to visit on my next EuroTrip! 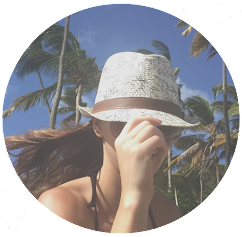 Thank you for the blog visit babe, hope to see you back to check out my TOP PARIS TRAVEL GUIDE! Definitely add London to your list of places to visit on your next Eurotrip =o) You will love it there! 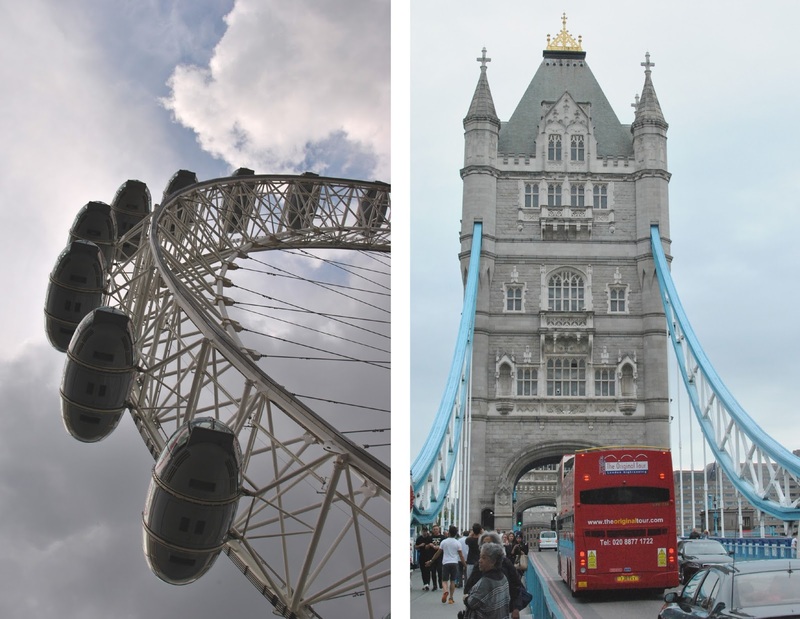 I absolutely love London, so definitely loved looking through these awesome photos! Looks amazing!!! Definitely miss London! Where are you off to next?